Thrilling sound with removable db-killer and full power delivery thanks to the dedicated mapping. 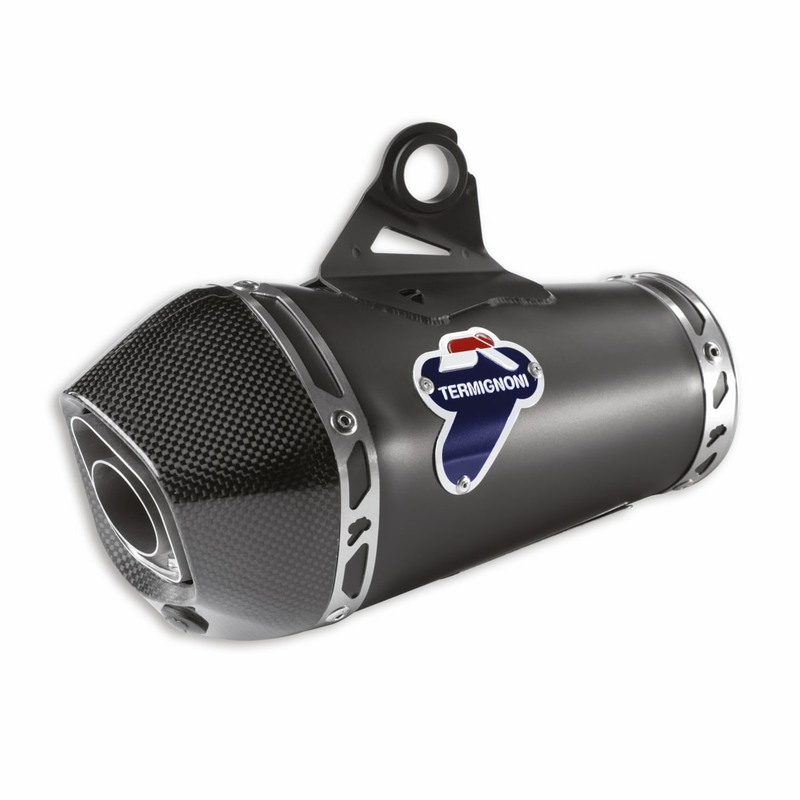 This steel silencer by Termignoni with up-map key makes for an exciting ride right from the word go, not to mention a touch of style thanks to the chance to choose the sleeve that suits your bike best. On Desert Sled part no. 96481551A is required.